American Corner is celebrating The US National Library Week. 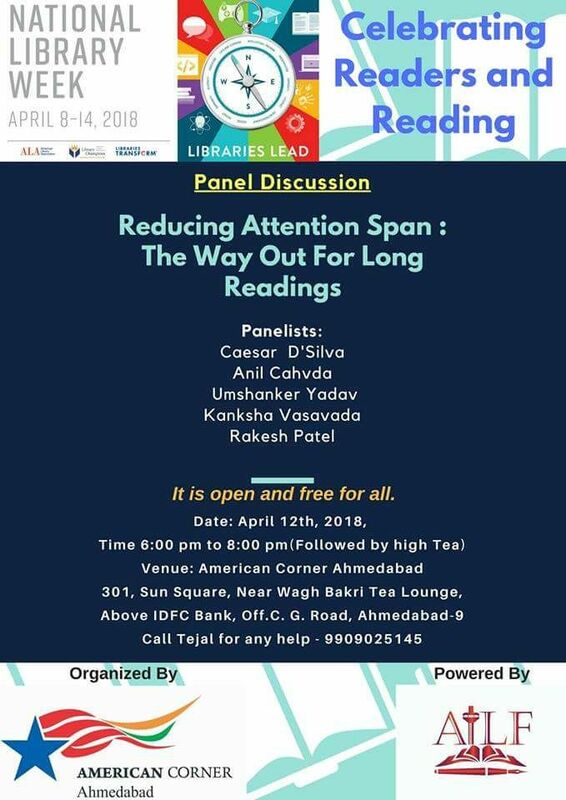 To celebrate Readers and reading, American Corner and Ahmadabad International Literature Festival team have decided to come together to discuss “Reducing Attention Span.” With a very strong panel, we would talk about reading in this digital world and solutions to improve on an attention span. Be a part of this exceptional discussion and give your point of view or I would say suggestion.